AMONG THE theatre highlights of next week’s schedule of shows from Galway International Arts Festival is Class, co-written and directed by Iseult Golden and David Horan, and presented in association with the Abbey Theatre at An Taibhdhearc. Class is a much-acclaimed comedy drama about a parent-teacher meeting that goes very wrong. A recently separated couple, Brian and Donna, who never liked school themselves, are called in to meet the teacher of their son who has learning difficulties. 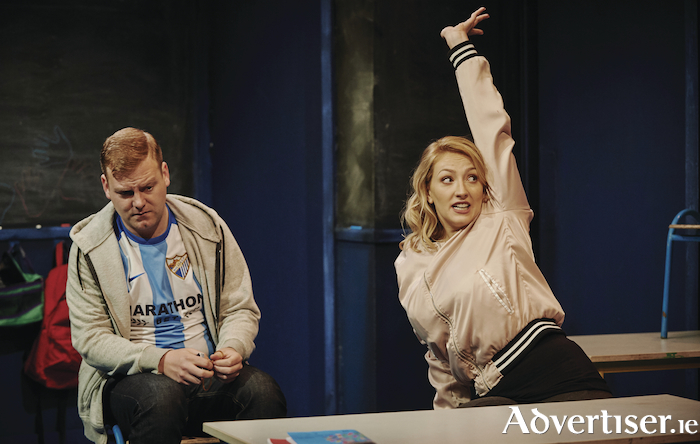 The play wittily explores the complications and comedy that ensues when three adults find themselves back in class. Class’s title not only alludes to the classroom where the action unfolds but to the social standing of its characters; “We have a middle class teacher who has chosen to work in a disadvantaged school,” Golden notes. “At the beginning of the play two working class parents come in because their son has reading difficulties. Page generated in 0.0710 seconds.